Pay Per Click Advertising – Get Immediate Results! 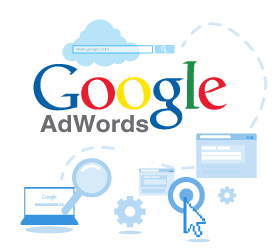 If you need immediate results on Google, then Pay Per Click Advertising (PPC) is something you should be considering. While search engine optimization on your site so that organic search results (non-paid advertising through normal Google search) can take some time to push your site to the top, PPC can immediately bring your visibility to the top of Google. Canada West Internet Marketing can give you advice and run your Pay Per Click Advertising campaign for you. Your company sets a budget as to how much you would like to spend and we can target your ads to a region of the country that you select (so that searches in that area bring up your ad), limit the times of the day your ad is seen, and even bid on how much it will cost you every time someone clicks on your ad. Ideally, organic searches are best. In the meantime, Pay Per Click brings immediate results. Click the image for a better view. The main concern is that if you decide to run your campaign yourself and you have not optimized it well, you can burn through your budget within a matter of hours or days, leaving the rest of the month without traffic to your site. Further, if you have not set up your campaign properly, you can burn through your budget when your ad shows up for non-targeted search keywords. Ideally, you want to have your site show up in the organic results on Google as 85% of people will click on these results. In the meantime, let Canada West Internet Marketing help save you money by targeting your ads to the right customers, the right time of day, and the right keywords.